Our specialist teams offer businesses a comprehensive range of commercial grounds maintenance services to cater for grounds of every type. 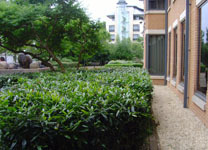 We are able to provide considerable experience and advice, managing reliable site specific grounds maintenance programs that accommodate different sites and alternative budgets. 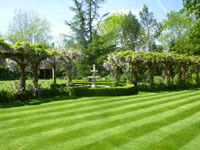 We can deliver high standards efficiently and aim to consistently improve upon the quality of the grounds throughout the duration of the contract. We are proud to have won national awards from the industry's premier landscaping bodies for our garden maintenance and landscaping services. More on Awards.. 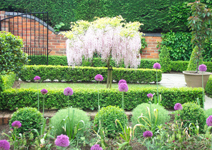 In addition to maintenance we can also provide comprehensive design, planting and landscaping services. Each site is managed by a dedicated contracts manager who will regularly communicate and can be your single point of contact at any time. As a professional company we naturally employ comprehensive Health and Safety practices, up to date equipment and environmental policies along with relevant Insurances and public liability. All staff are DBS checked and we are also ISO 9001/1400 registered. Tree and woodland management and rejuvenation work. 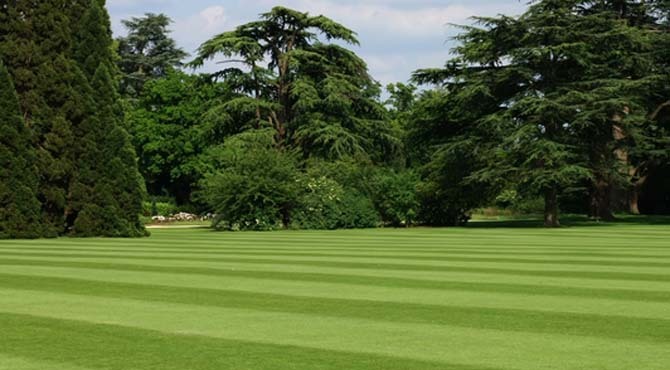 We maintain commercial grounds across Berkshire, Buckinghamshire and surrounding locations including Reading, Maidenhead, Wokingham, Henley, Marlow, Beaconsfield, Bracknell, High Wycombe and Windsor.